The First Family and white privilege are concepts that go hand in hand for many Americans. That makes no odds in the Vatican, however, where the Trumps found themselves outside the inner sanctum staring in. Trump, First Lady Melania and daughter Ivanka and her husband and presidential aide Jared Kushner met with Pope Francis at the Vatican on Wednesday. 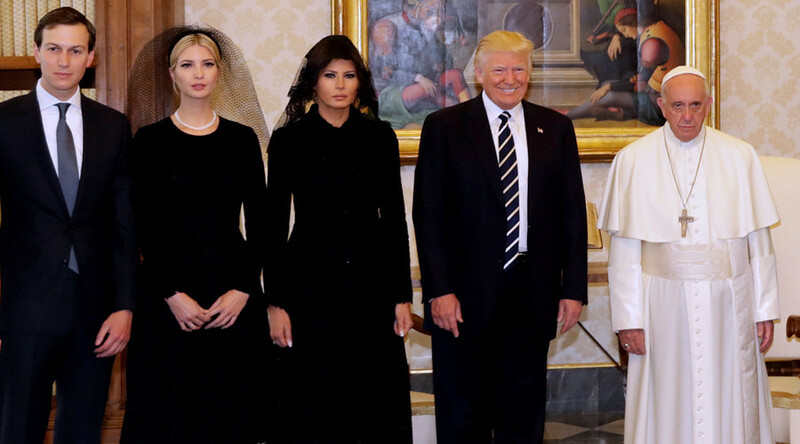 Both Melania and Ivanka chose to wear black dresses and veils. Vatican protocol traditionally dictates that women visiting the Pope should wear black and long sleeves, with a mantilla – the traditional lace veil worn by members of the Roman Catholic Church – covering their heads. Only a few are entitled to avail of "privilège du blanc" or “privilege of the white,” a rule that allows certain designated Catholic queens and princesses to wear white when visiting the pope. Unfortunately for the Trump ladies, being first lady or queen of a real estate empire just doesn’t cut it. 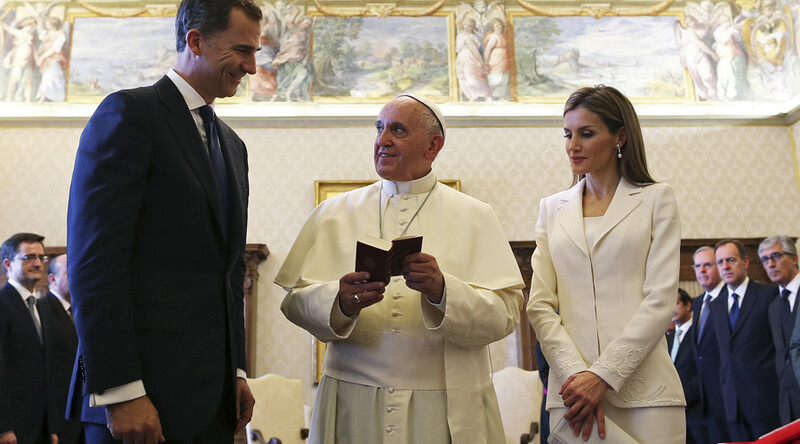 Catholic royals with white privilege include Queen Letizia of Spain, Queen Paola of the Belgians and Princess Charlene of Monaco. Pope Francis is said to have relaxed the Vatican dress code. In April, Camilla, Duchess of Cornwall, met the Pope wearing gold and with her head uncovered. The Trumps’ decision to adhere to the Vatican dress code was not matched by a similar deference to local protocol during a recent trip to Saudi Arabia. On that occasion both Melania and Ivanka chose not to don a headscarf despite Saudi law dictating that women are forbidden from appearing in public without their heads covered.